There are tons of remote controlled cars and boats out there that you can buy or build, and you can add remote control functionality to almost anything. But if you really want to stand out, there are few things more attention-grabbing than this radio-controlled watermelon boat by the folks over at Starting Electronics. 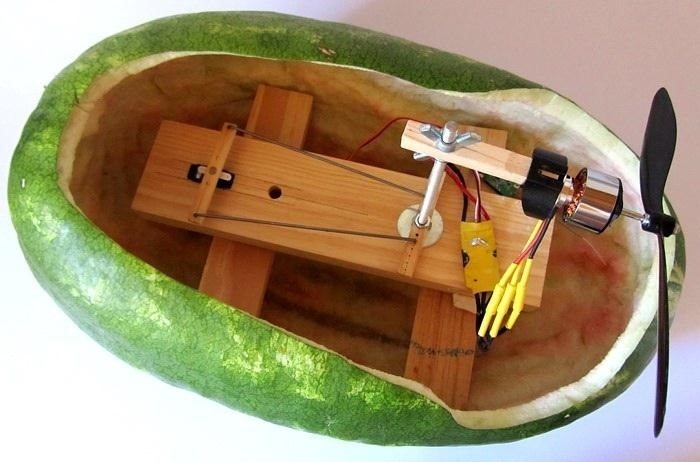 The body, obviously, is made from a hollowed out watermelon with a propeller and the parts from a remote controlled airplane mounted on a wooden block. 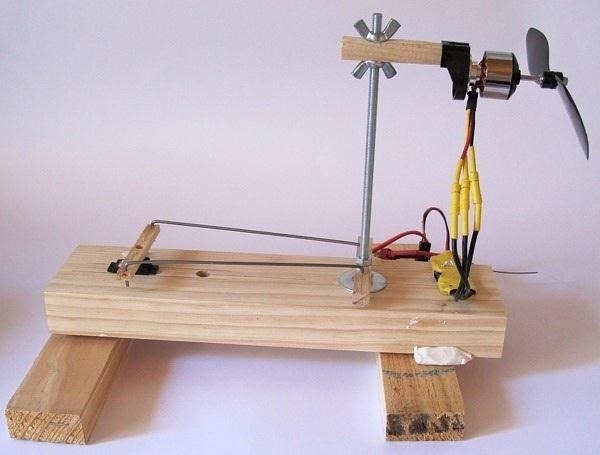 A servo allows the propeller to rotate in order to change the direction of the boat. Two rudders were attached to the watermelon with sticky putty to allow it to be steered. Check out the video below to see it zip around a swimming pool. For more details on how it works, head over to the project page over on Starting Electronics.